The building I bought came in a number of MDF sheets of different colours and width. 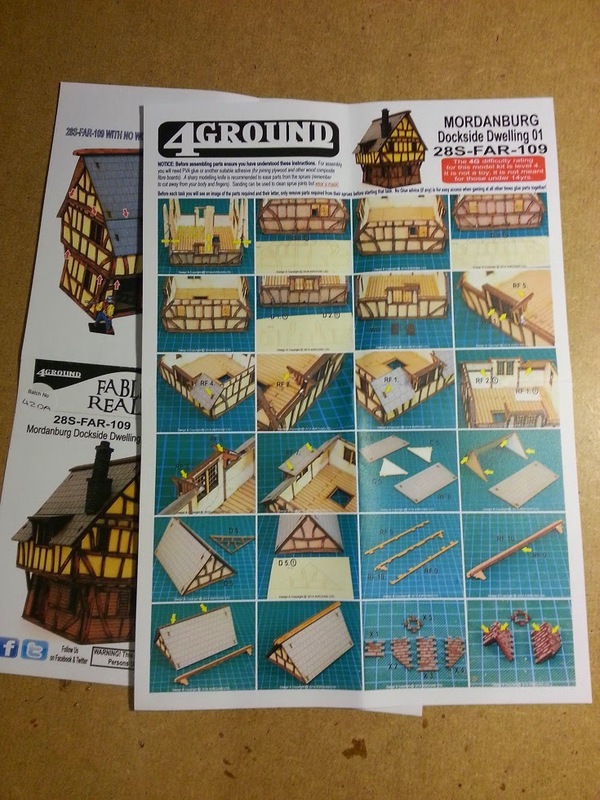 The instructions are quite easy to follow, you definitely need some PVA glue and a cutter while assembling the model. It took me about an hour and half to put together a single building, each wall is basically made up by 3 layers: internal walls, external beams and the panels that fit between the beams. 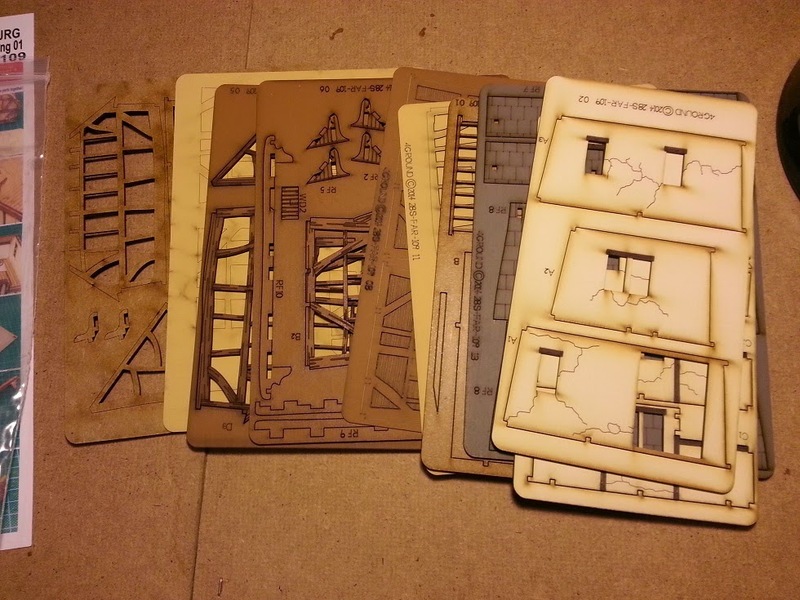 The quality of the laser cutting in pretty good, I found just some burn marks in some areas (the internal walls of the house) and unfortunately one sheet (the panels for the upper floor) was printed in reverse and it took some time to figure out the problem. The final result is pretty great, I looks much better than any other terrain I had so far. There are some optional items you can use to change a little bit how the house looks, different chimneys, different external panels for the ground floor and some optional windows. 4ground as a nice selections of styles, check their official website or here for some examples.